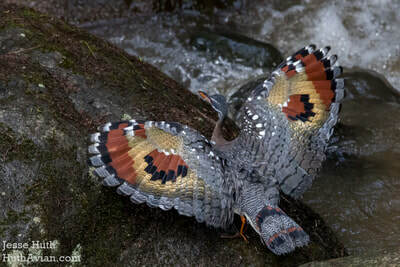 I was able to get some great views of this Sunbittern in Mindo, Ecuador. It was a rainy day and I was looking for White-capped Dippers when this guy flew in and chased them away. The "eyes" on his wings make him a sight!